My photographer friend Ernie Kale and I spent three days in early May 2012 in the area of Cades Cove and Townsend, TN. 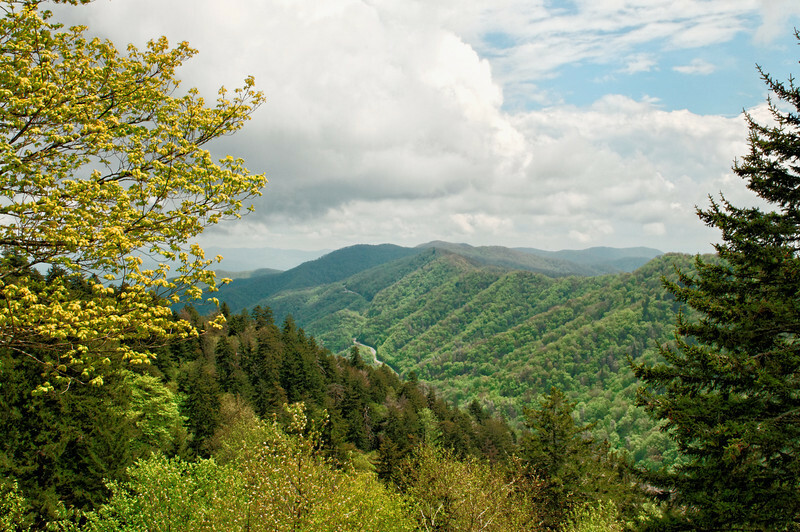 Townsend is about 9 miles from Cades Cove and is an excellent location for exploring that area of the Great Smoky Mountains National Park (GSMNP) without the hubbub of the Gatlinburg tourist mecca. Cades Cove was a settlement founded sometime between 1818 and 1821. It grew to about 271 inhabitants. It is now part of the park, and there are a number of old homes, churches, and buildings that have been maintained and restored. Lots of wildlife. I took the water pictures you will see in this gallery along the Middle Prong of the Little River. There are an East and a West prong. These streams run along the roads there and carry an amazing amount of water. A photographer's delight. The Middle Prong runs along Tremont Drive. We took shots around Townsend, Pigeon Forge, and the Maryville areas also. Hope you enjoy these photos.